Ages 4 through 8. 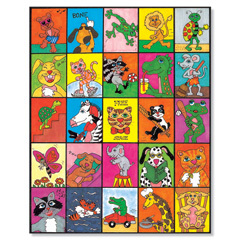 Here's a full-color version of our popular VERBingo game. The bingo-like game provides practice in the use of basic verbs as children construct sentences describing the pictures on the game board. Four children can play at one time.